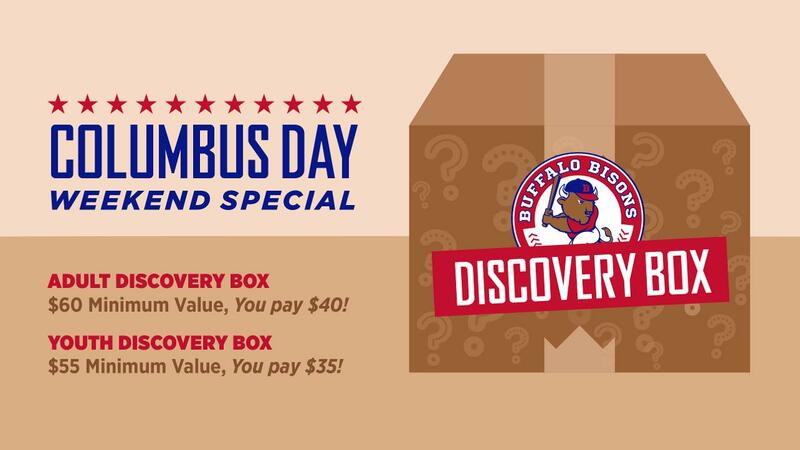 Home / baseball / Buffalo / Buffalo Bisons / CM / mystery box / Sports / What will you discover in your Bisons special 'Mystery Box'? What will you discover in your Bisons special 'Mystery Box'? BUFFALO, N.Y. -- You never know what you can discover if you just go for it… whether you get what you planned for or not! 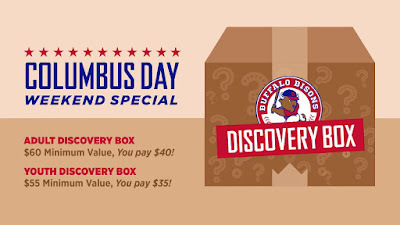 This Columbus Day Weekend, the Bisons are introducing all new 'Mystery Boxes' to their Bisons.com online shop! Starting today through Tuesday, October 9, you can purchase these Mystery Boxes loaded with great Bisons merchandise just waiting for you to discover! There are Mystery Box options for both adult and children and each one starts with a random Bisons cap… Just pick adjusted or fitted (with size) and see which great option you get. Mystery Boxes also include 4-6 novelty items, including at least one Bisons Team card set. PLUS, eight random Mystery Boxes ordered during this sale will also include an autographed card from a current or former Bisons player. Adult Mystery Boxes are only $40 and include a minimum of $60 in value. Child Mystery Boxes are only $35 with over $55 in value. Take a chance and discover the fun and value with a Bisons Mystery Box this weekend! !